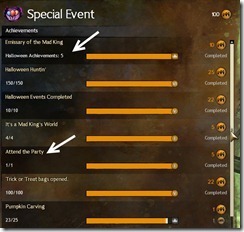 GW2 Shadow of the Mad King ACT 4 of the Halloween event guide with detailed walkthrough. 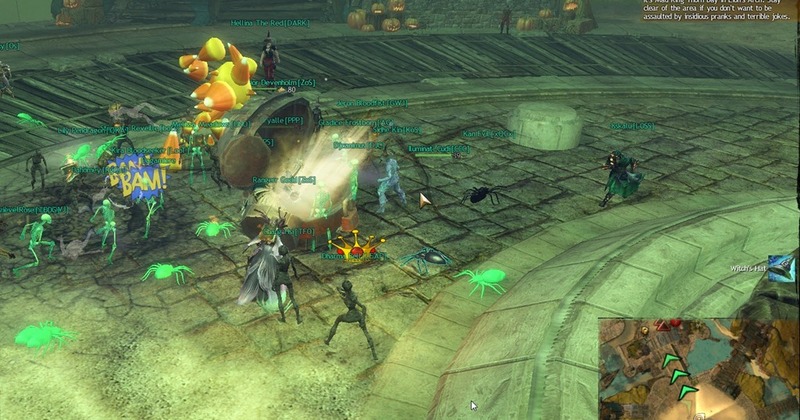 ACT started on October 31 9am PST at Lion’s Arch Grand Plaza and is mostly here for you to finish up any of the Halloween stuff and obtain Attend the Party achievement. 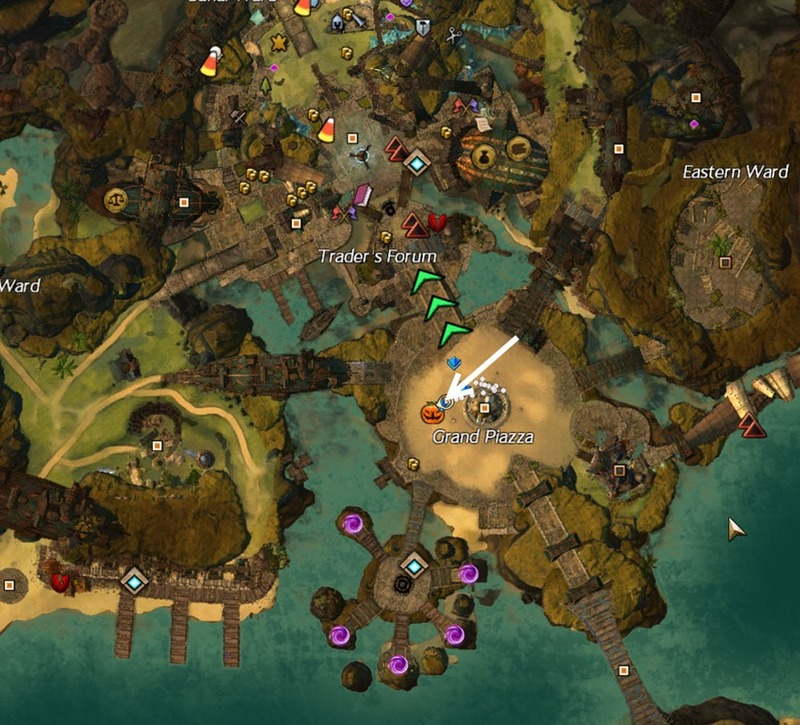 If you didn’t get the achievement, you need to relog or zone back into Lion’s Arch! 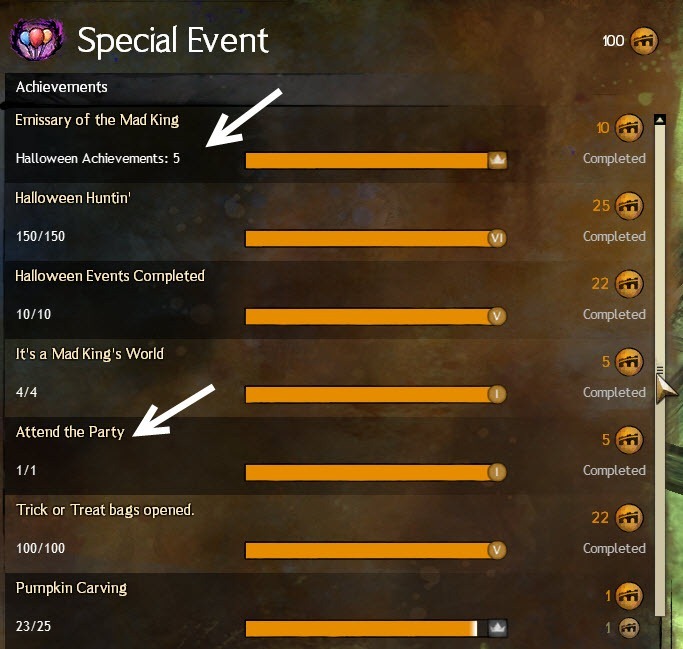 There is an event here with Mad King says that gives you the Attend the Party achievement as well as a chest at the end that rewards you with a Witch’s Hat. You don’t have to successfully obey every command, I failed a couple and still got the achievement + chest. How often does the event rerun? 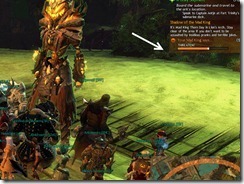 On the forums, one of the Anet folks posted this.. However, the event appeared again at 12:50, 50 minutes after the first event. 25 Trick-or-Treat bags if you don’t miss any of the commands, 10 if you miss some of the commands. How do you get 4/4 under the mad king’s world? I missed the dungeon and now have only 3/4 of Mad King’s World. Is it possible to get this to 4/4 in act4? I didn’t see any chest.. where was? oh cool, thanks for the update! I had that problem where I didn’t get the achievement. Only after relogging I got it but my title (I have 4/4 for Emissary) wasn’t in the drop down list. Anyone have any idea how to fix this? You meant 5/5 for Emissary? Clocktower is not required, is confirmed by the dev. 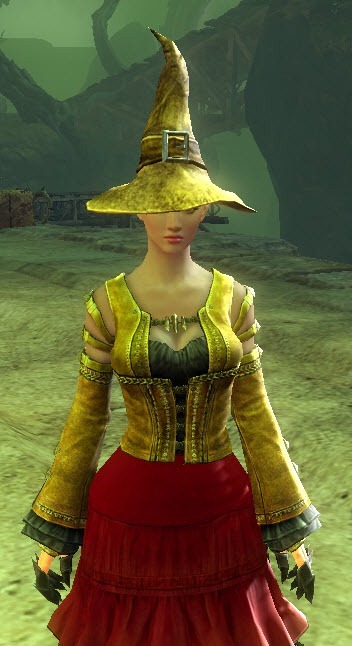 Ugh, guess I’m bugged then 8( Hopefully Arenanet will announce a fix for this. Thanks. How do you even get the guide up so quickly? Lots of salutes to you. Been following your site since rift! oooh reading glasses, I am intrigued! anyone else got them? According to an AN person who was on during an event today, the second time through, you get more bags depending on how accurate you are; 25 ToT bags for not missing any emotes at all. 10 if you miss some. thanks, added that bit in! Thanks for your guides ! IS “Ascent to Madness dungeon” no longer available?? I got the achievement when I showed up at the end and only got one of the commands! Got the ‘Attend the Party’ when I relog after the ‘Mad King says’ event. I gotta say, I felt Act 4 was massively anti-climactic. Till then, the event as a whole had been awesome. There was stuff for everyone. 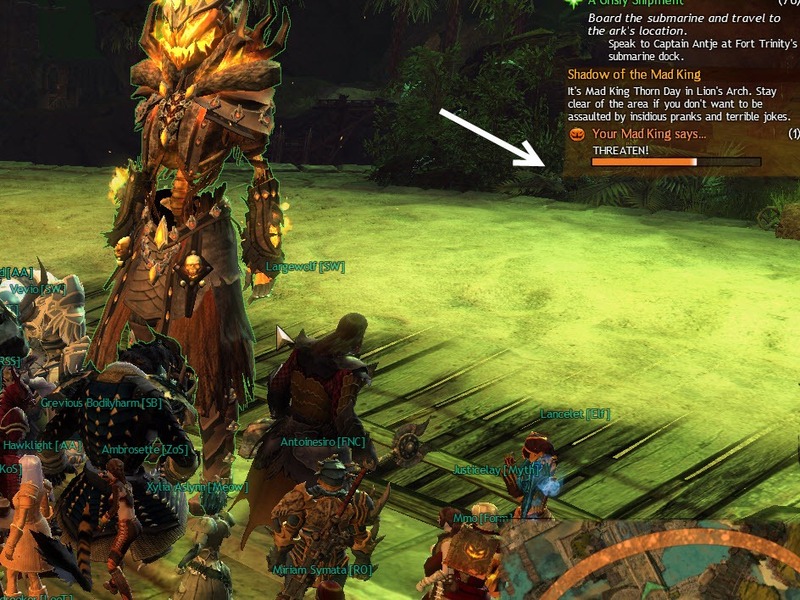 The Mad King fight was fun and could be solo’d even. 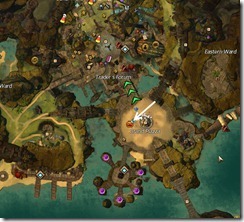 There were quirky events, as well as grinding loot fests and so much more. But for the finale, it’s basically a Simon Says… and that’s it. I was very disappointed. I mean, it’s just a holiday event, so it’s not a big deal, but my son and I had really been looking forward to playing Halloween night, assuming there’d be something awesome and large in scope. He wound up playing Borderlands 2 instead and I just grinded the labyrinth.